The only way to get better at something is to do it every day. I've decided to draw or paint every day so that I get better at them. 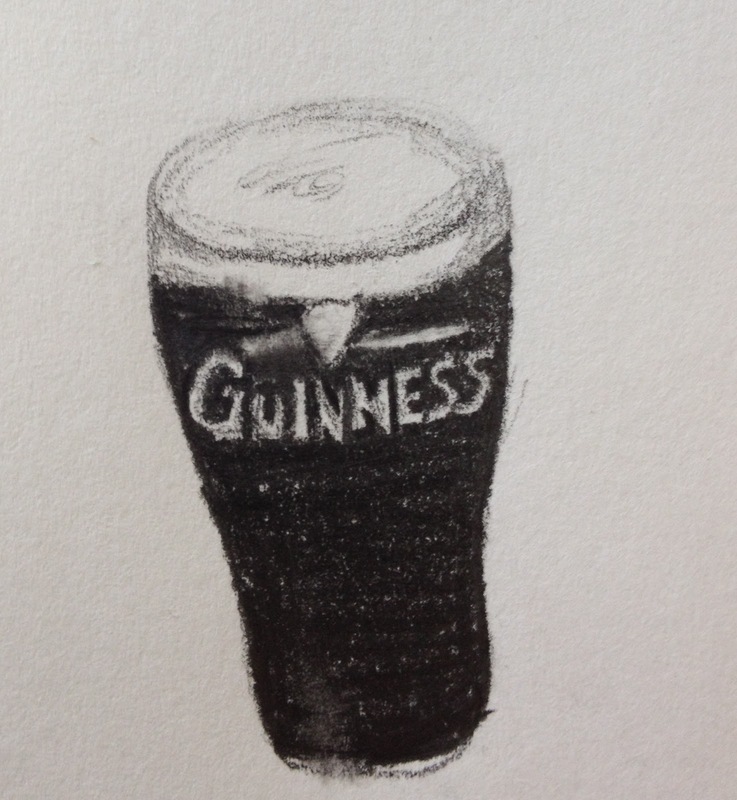 When I asked the boys what to draw today, Gabriel immediately suggested beer. 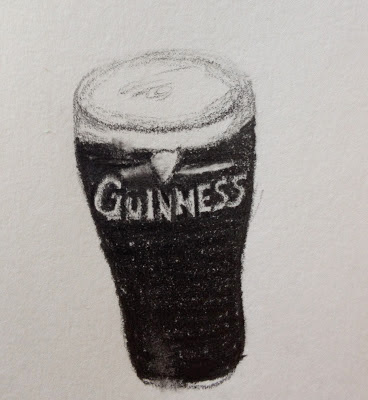 Since Guinness is Gary's favorite kind, it's what got drawn.